Just because it’s fall, doesn’t mean that you have to turn frumpy and boring with your wardrobe. Sure, the weather says grey, dark, brown and gloomy, but that doesn’t mean you have to look that way. 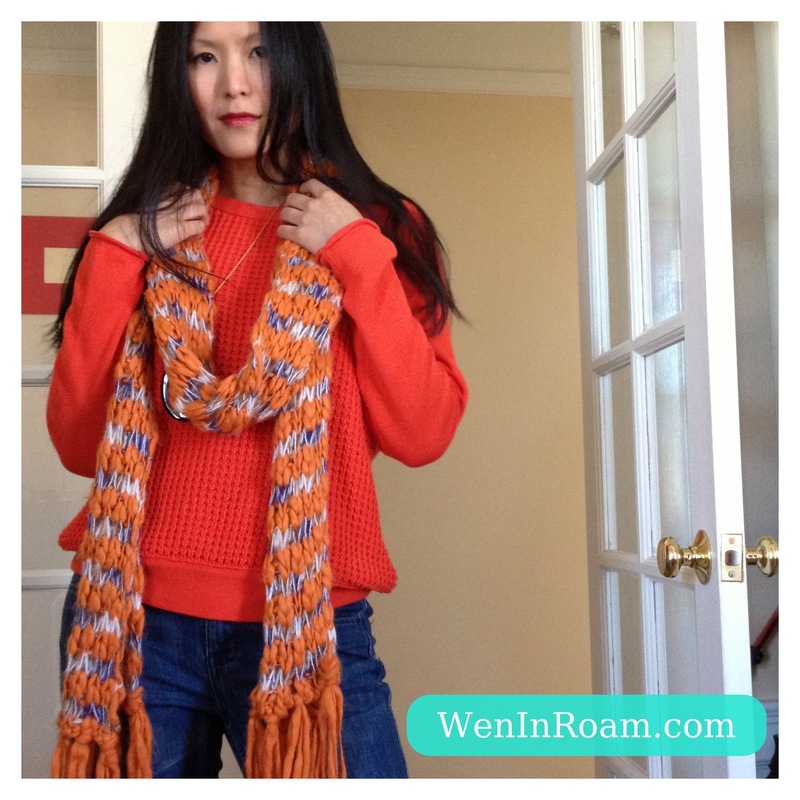 I try to NOT let weather affect my mood by fighting it off with some brightly colored sweaters and scarves. See below. Not sure if it’s actually works, but it does make me feel slightly better when I slip ‘em on! 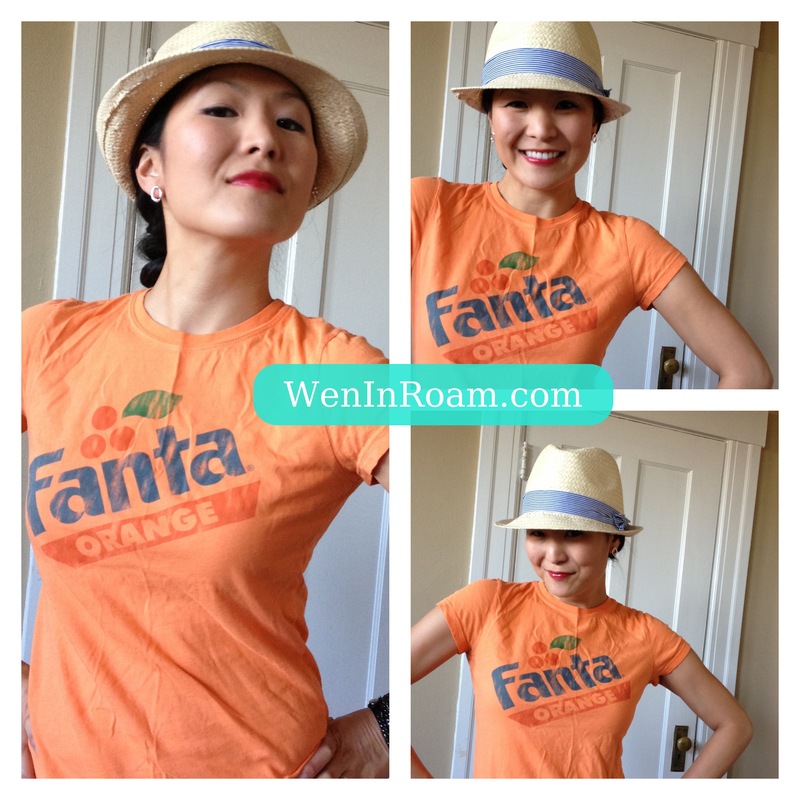 Throwback Thursday: Don’t you wanna Fanta? Last week’s Mickey Mouse throwback got such a great response, so I thought I’d throw out another….Orange Fanta. Remember when this soda was so hot in the 80’s and early 90’s? Before society got wind that soda’s were evil and banned them from schools? I never really liked the artificial taste of orange soda, but I totally dug the electrifying color. Insert Fanta tee (below).